Bud Brewster did not take his family name for granted, but rather, took the foundation his father and grandfather had begun and simply began building. Brewster saw himself as a carpenter first, and while building businesses, he built stables, houses, cabins, picnic tables and even an 18-hole golf course. 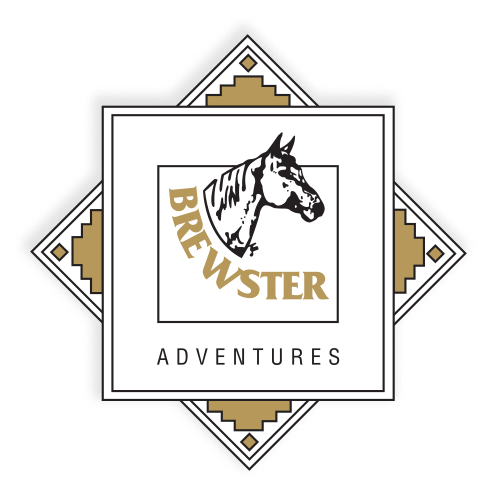 For over 65 years, Brewster expanded the family tourism business and created profitable entities such as Brewster Mountain Pack Trains, Kananaskis Guest Ranch, Shadow Lake Cabins, MountView Barbecue and Catering, Lake Louise Stables and Dance Barn, Brewster Mountain Lodge and the recently completed 18-hole Kananaskis Ranch Golf Course. The youngest son of Claude and Ruth Brewster, born in April, 1928, Brewster would spend the first six months of his life without a registered name. He was nicknamed “Buddie” by his grandmother Missy; but it wouldn’t take long before he started making a name for himself. Cutting wood and trapping fur provided a young Buddie with his earliest paychecks and stoked a lifelong entrepreneurial fire. While his first pack trip into the mountains was as an eight-year-old with his parents, he took over both the horse pack trips and hike trips when he was 16, often taking 75 guests and 100 horses at a time. “He always had an entrepreneurial spirit,” says Annette, his wife of 51 years, who worked right alongside Bud in the business. “He’d get one project going but this thing up here (pointing to her head) was always working too,” she says of his uncanny ability to think ahead. A tenacious drive also helped Brewster when it came to dealing with Parks Canada. Development is decided in Ottawa and Park permits are highly regulated. Brewster first bought Shadow Lake from his Uncle Jim of Brewster Transport in 1950. The property had a 1929 Canadian Pacific Railway cabin and was only accessible by hiking or cross country skiing. “I didn’t have a lot of problems dealing with Parks (Canada), but it took me time,” Brewster explains. Brewster says, “We were in every d*** part of the park — all by hike or horseback.” Forty years later, Brewster officially received the green light to develop in 1990. Although the environmental sensitivity of the area proved challenging, it didn’t faze Brewster. “Again the builder went in, actually riding a bike at times,” says Annette of the area that is 15 km from the Trans-Canada Highway. “When I built Shadow Lake I renovated the original cabin, and we flew in 95,000 pounds of stuff by helicopter,” Brewster says. “Some (material) we packed inby horses and some we went via winter by skidooing.” By the end of 1991 there were six cabins in the meadow beneath Mount Ball. Today Shadow Lake has 12 cabins. Ron Warner of Warner Guiding and Outfitting of Banff says that Brewster’s legacy was the creation of the BBQ business in Banff. Brewster’s father created a canvas Do-nut tent for use in the backcountry. But Bud would perfect it by building permanent Do-nut structures for their MountView Barbecue and Catering business. Brewster also had two other dream projects he would not give up on: a hotel and a golf course. After buying out the other Brewster family shareholders, Bud would acquire the Brewster Block off of main street in Banff in 1974. Brewster Mountain Lodge opened to its first guests. “The accountants we had in Calgary wanted us to amalgamate everything and get it under one umbrella. That was never Bud’s idea because each enterprise had to stand on its own,” says Annette. That diversification was recently recognized by the Alberta Business Family Institute’s (ABFI) for the family’s enduring business legacy in the Canadian Rockies. ABFI says statistically, 70 per cent of family businesses fail before they’re passed on to the second generation; 97 per cent never make it to the fourth generation. Bud and Annette’s daughters — the fifth generation of Brewster’s: Janet, Corinne and Alison — have been carrying on the family business successfully for the past 25 years. From backcountry pack trips to BBQs, the Brewster name that has been synonymous with Banff for 125 years has had help from one man who simply sought to build. And be assured, even today at 83, there are two things Bud Brewster is never without: a hat and a hammer.